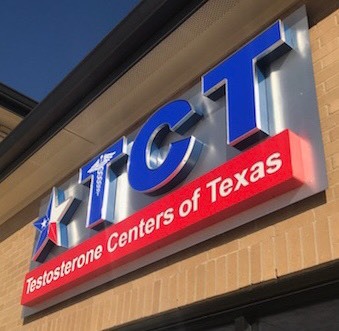 Testosterone Centers of Texas (TCT), one of the leading testosterone clinics in the DFW area, is opening a new clinic for the medical treatment of Low T in the Prosper area. PROSPER, Texas – July 30, 2018 – PRLog — Testosterone Centers of Texas (TCT), a leading provider of Testosterone Replacement Therapy in the Dallas-Fort Worth area, recently opened a new Low T clinic in Prosper, Texas, which will focus primarily on the medical treatment of low testosterone. Located next door to the new Kroger at the Northeast corner of Highway 380 & FM 423 in Windsong Ranch, the new Low T clinic is now open and offers comprehensive Hormone Replacement Therapy (including Testosterone Replacement Therapy and Estrogen Replacement Therapy) for both men and women. Because there is currently not a single Low T clinic in Prosper, TCT is excited and honored to bring this service Prosper residents. The clinic is open from 9am to 5pm Monday through Friday, with a lunch from 1pm to 2pm. It is also open 9am to 1pm on Saturdays and is closed on Sundays. Like TCT’s other Low T clinics in Hurst, Frisco, Flower Mound, and Lewisville, the Prosper Low T clinic focuses primarily on the treatment of low testosterone — however, ancillary medical therapies and referral services are also offered. For the last 5 years, Testosterone Centers of Texas has been treating men and women with hormone imbalances in the DFW area. The development of long-term medical treatment plans, based on experience gleaned through hundreds of thousands of patient encounters, sets TCT apart from the competition — long-term, safe improvement is always the goal. Each of TCT’s clinics has licensed medical care providers who are experts in hormone replacement therapy, who regularly treat hormone deficiencies in women and men, and whose sole goal is to restore hormone balance while minimizing side effects. The new Prosper facility, like all TCT facilities, is overseen by a medical doctor to ensure every patient receives excellent care of the highest quality. Together, the 4 founders of Testosterone Centers of Texas have over 200,000 patient encounters, covering the entire range of hormonal imbalance, especially low testosterone. Customer service and a focus on quality of care set Testosterone Centers of Texas apart from other Hormone Replacement Therapy providers. This deep commitment to the patient and their well being has endeared TCT to thousands of patients over the years. Adding a new location to better serve their clients in Prosper is a natural extension of this commitment to not only quality of care, but to ease of access and convenience. TCT has always offered low-cost hormone testing to both men and women. Go to http://tctmed.com/testosterone-testing-25-dollar-low-t-test to learn how to sign up for Low T testing for only $25. TCT is a medical practice owned and operated by medical professionals that specializes in the diagnosis and treatment of hormone imbalance in both men and women, with a primary focus on low testosterone. TCT has clinics in Lewisville, Hurst, Frisco, Flower Mound, and now Prosper. To learn more, visit http://tctmed.com.